Congratulations Erica...your number came right up! I hope you enjoy your gift card and many thanks again to Minted for sponsoring such a fantastic giveaway. Today is a good day for a giveaway...I can feel it. Are you ready to take a gander at taking home a $100 gift card to Minted? 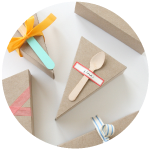 If you haven't heard, Minted is one of the classiest places on the web for well-designed stationery, labels, stamps, announcements, etc. Think: fine paper, rich inks and fresh designs. I loved Baby Gray's birth announcement from Minted, and lately am enjoying their address labels like crazy (15% off promo code for all things baby-related is LITTLEONES fyi). I can't get enough of NOT writing out my return address every.single.time. I'm at the post office. Plus, I love that they wrap around the card--such a clever idea. Will you choose one of these Halloween cards? I know a lot of people who love Halloween more than any other holiday and a holiday Halloween card would be a great way to share the more spooky and/or devilish side of you :) Enjoying this non-traditionalist suggestion? Well, how 'about this one...about six years ago I sent out Thanksgiving cards instead of Christmas cards and really fell in love with that tradition (guess who enjoyed her December?). Adding in coordinating skinny address labels would be a nice finishing touch too. They definitely gussy up an average envelope in a colorful way. I use these all the time! And one last suggestion...these minibook holiday cards. So perfect for the family with more than one image to share! - You have 5 days to enter this giveaway (closes Sunday, October 23rd at midnight). - The winner will be chosen via random.org and announced next week at the top of this post--so make sure you peek back and see if you're the lucky one! I just love their birth annoucements... and with a baby on the way, it's going to be hard to pick just one. I'd love to use these - it'd be my first time to send cards out! 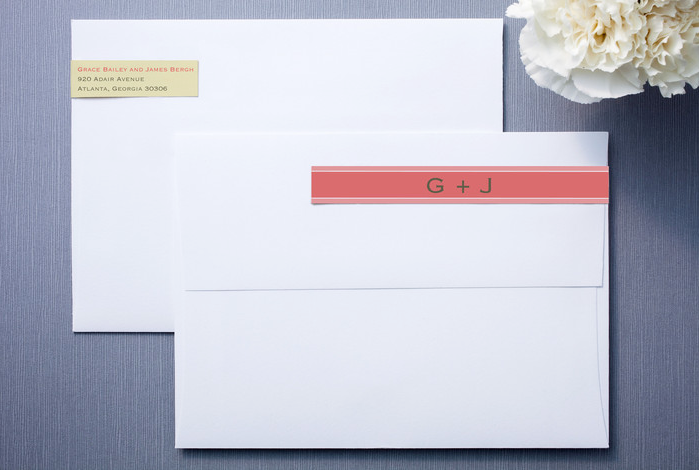 I bought some everyday personalized stationery from Minted when they ran a deal on zulily. I LOVE how it turned out and would loooove to try their Christmas cards! This would be fabulous! I love your idea of sending Thanksgiving cards, I may have to steal that idea this year. I ordered our wedding invitations from Minted this year and loved them!! Lovely! I would love to win. Thanks for the giveaway! This is a great giveaway - thank you! 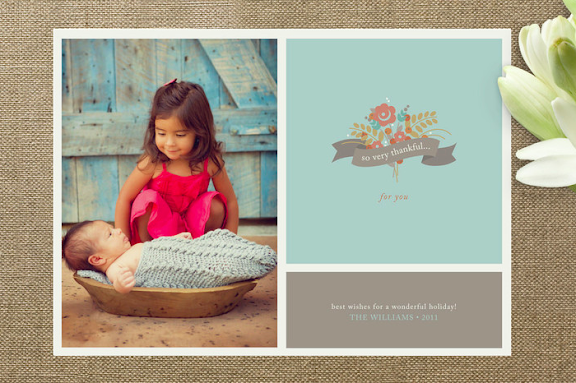 Yay - I love Minted &, with a brand new baby, it's never too early to start thinking about holiday cards! 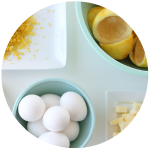 love minted + i need cards - sign me up! I already have a wish list! I am now obsessed with the skinny address labels. These are beautiful, I wouuld love some new stationary! This would be perfect for our upcoming wedding announcements! Skinny address labels are new to me ... I'd love to make them part of my "mailroom" supplies. 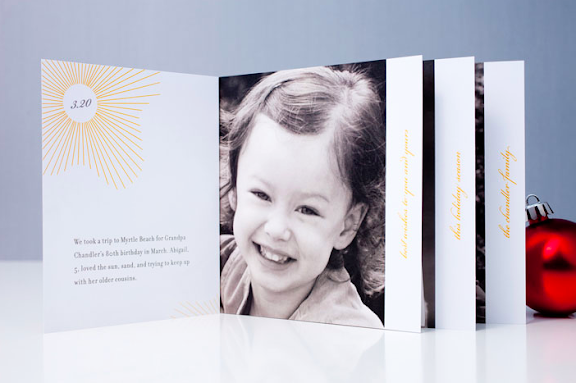 I was introduced to Minted last year...and I was just trying to remember their name! I am SOOOO glad you posted this! They have a beautiful-creative selection!! Thanks for introducing me to Minted, I hadn't seen any of this lovliness yet! If I win...it will go towards our New Years cards we send out instead of Christmas cards! Love, love minted!! Everything they have. I know! Minted is such an amazingly stellar company ... truly a fun treat for the winner! YES, PLEASE! I got some business cards there and the paper is dreamy. I LOVE my skinny address labels. In fact, I just used them to send out my Halloween party invitations! Love Minted's crisp, clean designs and your Thanksgiving card ideas is wonderful! $100 will make a dent in my wedding invitations. Thanks for the opportunity! gorgeous! so happy to know about this lovely company now. I think it would be really fun to make one of their mini books this year! I've already been looking at all their new fall/holiday designs....they are so gorgeous! love the thanksgiving card idea! oh. my. gosh. you are not kidding. Such wonderful designs. loving the thanksgiving card idea... maybe this will make it happen. so how does a person pick one?! love all of the designs. great giveaway! thanks! Love Minted. Was just perusing their lovely assortment of Christmas cards a couple of days ago contemplating which ones I plan on ordering. I love Minted! All their designs are so fresh and modern yet timeless! I would LOVE to win this!!! I love Minted too - I've used them the last few years for Christmas cards, and b-day invitations too. So cute! I love Minted! We ordered our Christmas cards through them last year. Perfect giveaway. I would love to win! Keeping my fingers crossed. What a lovely giveaway! Thank you Steph! I have always wanted to send out cards or have a cute stationary. This would be perfect to get started. I love their wraparound labels! Oh this would be wonderful!!! I love their stuff. I love those address labels! Aww, love minted's stuff! Actually just ordered our save the dates from there and would love to get a jump on the invites. Maybe if I won I would actually send Christmas cards this year. Just in time for Christmas cards! Thanks for the giveaway. I love Minted! Thanks for the opportunity. I love Minted! Thanks for the chance to win. 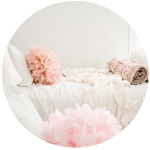 Love Minted and Love your Blog! I've already picked out the family Christmas card this year! I love Minted! They are my go-to inspiration for cards! I love these. I haven't ordered yet as I feel guilty spending so much money on stationary. Just beautiful. I love your idea of a Thanksgiving card! Genius. We haven't sent out Christmas cards in 3 years and since then we've had a baby and moved states! I think it's time for a card. I hope I win! Thanks for the chance. Love Minted! Totally obsessed with their wedding invitations right now. I love the quality of Minted products. I prefer to send out Happy New Year cards as opposed to Christmas cards, so they do not get lost in the shuffle. Minted is great, used them last year for my Christmas cards, what a great giveaway thanks! i think those skinny address labels are adorable! What a lovely giveaway! Minted has beautiful designs! I just love minted! I've been drooling over some of the stationary and of course, the Christmas cards! Everything looks beautiful! Would love to try out their Christmas cards! Great giveaway...thanks for introducing me to minted! Ohhh I love minted! I would love to win this! I heart Minted! Thanks for this opportunity! Oh, to win this Minted giveaway! I look at their site often, but have never gotten anything. Thanks for the opportunity. Those skinny address labels are the best. Love those skinny address labels! Thanks for the giveaway! Just had my 2nd child last Sunday and I would love to win this. Minted has great products! Would love to win, thanks for the opportunity! Ooh, I've been searching through their wedding invites and have found a lot of cute options. I love all the stuff from minted! The address labels, and the cards! This would be great for Christmas! I'd use the gift card for "We've Moved" announcements! We've been in our home for about a month now and I still haven't sent some out! I love Minted! products. Thanks for the chance. Goodness, they are all so darling? I would really love to win this! Thanks! What a great company! Have you ever heard of Dingbat Press? A dear friend of mine owns and operates this letter-press company and some of the designs on Minted remind me of her style. Oooh, they're lovely! I'd love to win! Oh my goodness, I'd love to win. They had such lovely products! I would love to win and try them out for my Christmas cards this year. It would be fun to do it without a budget! Oh, yes - it's time to start thinking Christmas cards again. This would be my little Christmas wish come true! Love Minted! They have beautiful things! Great way to get the cards out early this year! 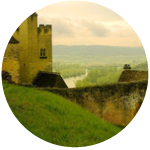 Love this giveaway- everything is just gorgeous! Holy cow, I just love their stuff! Love Minted...just ordered my save the dates from them and would LOVE to win for the invites! Oh I LOVE Minted. Please pick me!! I am LOVING everything I am seeing. omgosh. 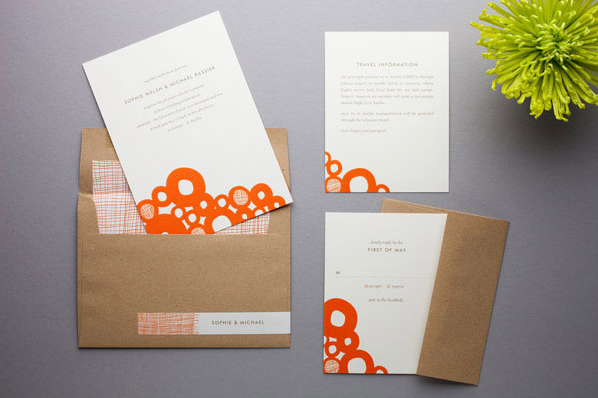 Minted makes me want to get married all over again just so I could choose one of their gorgeous invitations. I love minted!! They have the most beautiful paper. They have lovely baby announcements! This would be great, I just had a baby. their website is beautiful- love their stuff. I love their photo calendars (and I'd love to get a jumpstart on holiday presents). Minted is my very fave! Bonne chance indeed. I really like their stuff. Thanks for the Thanksgiving card inspiration. What a fun giveaway. I love looking at all things by Minted. This would be such a fun thing to win! Ooh I love the halloween cards! I love Minted! I would love to win sometime! These are lovely - I love the idea of Thanksgiving cards! I love the photo books. Such a great way to send your year in photos to family and friends. Thanks for the chance to win! It is a good day for a giveaway! This would be lovely to win. I loooooove Minted. I used them last year for my Christmas cards, such beautiful paper and design. What a lovely and generous giveaway. i am seriously committed to getting out xmas cards this year (i don't have a great track record). these would help make it happen! Beautiful! I would love to be able to finish my Holiday cards early this year. Maybe today's my lucky day!!! Would love to use for my holiday cards again this year! I received so many compliments last year! The perfect Christmas cards... for free?!? I would be crazy to miss that opportunity! I'm drooling over the skinny address labels. We are moving to another state just before Xmas! What a perfect combo-mailing: a new address and best wishes for the holidays and coming year :) Love minted. I love Minted! This would be great. I love minted. yes, please! I LOVE those skinny address labels. So pretty and fun! I just bought my holiday card skinny labels from them, but have my eye on a hundred other things! I would love to try out some of their Skinny address labels! Those look like such a great idea. Thanks for hosting this giveaway! This would be an answer to a prayer. What a wonderful way to start a new tradition! Thank you for the idea and hosting the giveaway! What a great giveaway and great birth announcements! I was just checking this site out! Count me in! I love, love, love these cards! Your advertisers always have amazing products and I'd love to try a new custom stationary company. Minted, please be mine! I was lucky enough to receive some stationery from Minted as a gift. I'd love to use the gift certificate for ordering holiday cards. Oh...what a great giveaway - just in time for the holidays! I LOVE their stuff. Fingers crossed! I'm planning my son's First Holy Communion party, and these will be perfect! The skinny address labels are my favorite- would love to win! I am a huge fan of Minted. This would be a treat to win! I love the clean feel of the holiday cards. Oooh! Maybe I could get my Christmas cards done on time this year! So much goodness! Thanks for the chance! so cool! this might actually make me - encourage me - to get those holiday cards figured out! i'm due in december and would love to put that gift card towards birth announcements! I'm opening a bakery up next year and would love to have this for announcement cards! They have such beautiful things! Yes, please! I adore minted! I would love to win! I have a three day old baby and I would love to send birth announcements by minte! This would be a dream to have to use my Christmas cards! This would be perfect for our save-the-dates! CLASS ACT ALL THE WAY. LOVE IT ALL! I love the idea of Thanksgiving cards instead of Christmas cards -- especially since I'm still not finished sending Christmas cards for 2010.
love the idea of thanksgiving cards! throw my name in the hat! Timing is everything-I was just looking at the site the other day, starting to think about Christmas cards-especially since this will be my son's first Christmas! I just love their designs & would love to win! LOVE the skinny address labels!! I alway hope I win with Minted, they have amazing products & I would love to use it for our Christmas cards. These cards are beautiful. I would love to win this to use for our holiday cards! I ADORE Minted!!! These would be perfect for our holiday cards! Thanks for the opportunity to enter! I would love to order Save the Dates for our May wedding from Minted.com!